After heading out as far as Ontario in the summer, Maritimes-made indie-pop supergroup Weird Lines have announced that they're taking the tunes from their self-titled debut all the way over to the West Coast this fall. The band's latest run of tour dates starts up at Winnipeg's Windsor Hotel on October 19. From there, the troupe make their way across the Prairies and out to Vancouver for a pair of shows on October 25. 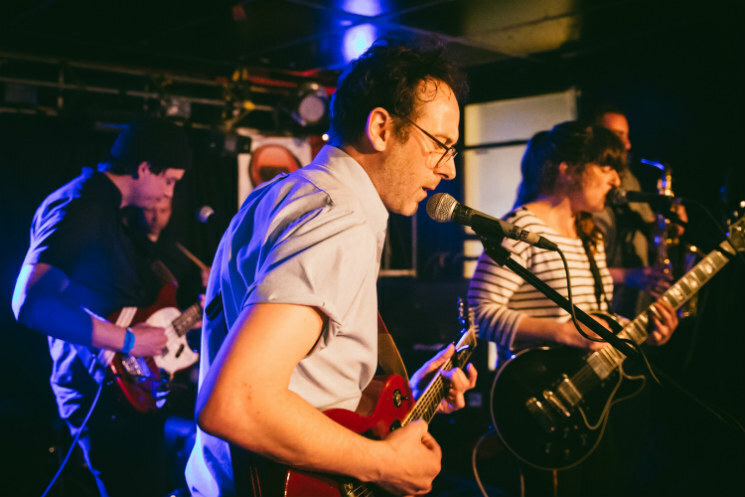 The first will be an all ages in-store at Red Cat Records in the day, while they play the Biltmore Cabaret later that evening. You'll find the full list of shows, which will also include sets from Weird Lines member Jon McKiel (backed by a full band), down below. As previously reported, Weird Lines comprises McKiel, Julie Doiron, C.L. McLaughlin, James Anderson and Chris Meaney. You'll find a brand new video for the band's "Malibu," which places the tender track above a surf-minded clip from John Carpenter's '70s space stoner classic Dark Star, beneath the concert info.